first submarine of World War II to the Japanese. The Navy would lose many more submarines over the next 31/2 years. There were 29 Submarines operating out of Cavite Navy Yard. These boats attached to the US Navy Asiatic Fleet. The USS Sealion was undergoing had been undergoing overhaul. Tied to the Navy Yard was the submarine tender USS Canopus. Over 1000 Filipinos working on the Navy yard were killed as Japanese bomber attacked. 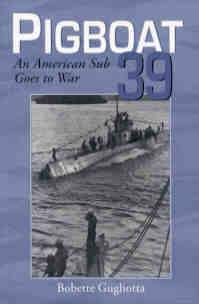 One of the submarines that escape the bombing was S-39. Some of the sailors who survived the Sealion latched on to S-39. Here are excerpts from the book (Pigboat 39) written by Bobbette Gugliotta. The S-39 arrived in Brisbane, Australia. The mail from the United States was waiting them. There was no mail for Tayco and Fabricante. The Philippines were firmly in Japanese hands; even Bataan had fallen. The first chapter of this book is “Mabuhay” and you will find pictures of Amador Tayco and Cecilio Fabricante. It is more than a tale of war at sea. There are no heroes in Pigboat 39 unless everyone is. Little people add up to big events and face them like heroes. This is submarine life then and now. Fabricante was little guy and fitted right there and would you believe it he did not even know how to swim. It was easy for the big guys to carry him over their shoulder when the water level reached Fabricante’s chin. The Philippine government also had a problem. Because the gold was indestructible, it was important to remove it from the Philippines. This opportunity seemed unlikely and it appeared inevitable that the gold would have to be sunk in the Bay, risking detection by the Japanese. President Quezon and the High Commissioner had few answers to their problem if the gold could not be destroyed or safely sunk in the bay. Trout was to provide the perfect solution for everyone. Lt. Cmdr. T. C. Parker, naval aide for the High commissioner, phoned Philippine Vice President Sergio Osmena and members of the High Commissioner's Staff. Parker’s suggestion? “Maybe gold bullion would serve as sufficient ballast!” Trout would receive her ballast and Commissioner Sayre would have a safe place for his gold. General MacArthur gave the “okay” by phone and the transfer was arranged. Trout would receive the gold bullion, securities, and some silver for ballast and ultimate delivery to Pearl Harbor prior to eventual transfer to the United States for the duration of the war. Little time was available for receipts or itemized checks, but Commonwealth officials were pleased with the security as they observed every part of the transfer of the valuables from the vault to the flatbed Army trucks used to make the delivery to the pier. Dawn was rapidly approaching and an all hands effort of available military personnel, Commissioner Sayre's staff, officers of the Philippine Commonwealth, and even Philippine stevedores was required to load the forty-pound gold bars from the truck and hand then singly down the hatches of what might be termed a modern Spanish Galleon. As the bars were passed one by one down into the illuminated interior of the boat, the working party realized the metal bars bore a soft reddish-yellow color. Three hundred and nineteen gold bars were taken board, weighing approximately six and one-half tons. The remaining ballast was received in the form of six hundred and thirty bags of coins, each containing a thousand silver pesos. By 2:50 a.m. on February 4th, the treasure had been loaded. Fifteen minutes later Trout got underway. Three miles off Corregidor, she dove in a predetermined spot and lay in 140 feet of water, seeking protection from the enemy. Submerged, she waited until nightfall for one final load of securities. To the men of Trout each bar represented forty pounds of badly needed ballast. To a financial expert or bank manager, each bar would have represented almost $23,000 worth of gold. Trout’s crew received a well-deserved day's rest after working two days and two nights straight. A rendezvous was scheduled for later that evening, with a small patrol boat, which would deliver the remaining securities and some additional diplomatic mail. Following the final transfer, and fifty minutes after surfacing, Trout was on her way to the East China Sea with probably the richest ballast ever carried in a warship. The gold and silver was worth nearly $10,000,000. Prior to departing, Cmdr. Fenno asked if there were to be any passengers, but received a negative reply. No one could be spared from Corregidor. Just as the submarine pulled away from the small boat at the time of the final transfer, an officer tossed Fenno a small bag of gold nuggets with the comment, "These are for you!" Cmdr. Fenno, not sure what to do with them, put them in his desk safe and considered keeping them for a souvenir. Later, checking an itemized list of the cargo, he found that these, too, were included in the inventory, and so put them in the cargo to be delivered. Cmdr. Fenno now had as valuable a cargo to carry to Pearl as he had brought to Corregidor. Even in time of global war, negotiable securities and precious metals had high value, but the monetary value meant nothing to Trout’s officers and crew. The presence of the treasure did not change his orders to carry out his war patrol, and accordingly, he set course for the East China Sea. While on patrol Trout made several contacts with the enemy and even sank a Japanese cargo ship. No more enemy contacts were made en route to Pearl Harbor and, two days out of Pearl, she rendezvoused with USS Litchfield. On the afternoon of March 3rd, Trout moored port side to USS Detroit at Fleet Air Base in Pearl Harbor. The cargo of gold, silver, and securities was turned over to the Detroit, and subsequently to Treasury officials. Trout eventually took part in the Midway operations in June, 1942 and, after receiving eleven battle stars (one for each war patrol), Trout was "reported missing" on February 8th, 1944 under the command of Lt. Cmdr. A. H. Clark. Cmdr. Fenno was awarded the Distinguished Service Cross for "extraordinary heroism" by direction of the Secretary of War for her war patrol to Corregidor and the East China Sea from January 12th to March 3rd, 1942. Cmdr. Fenno’s division commander, Capt. F. M. O'Leary, said, "the cruise of the USS Trout on patrol is considered as outstanding performance for a submarine in this war." His squadron commander, Capt. A. R. McCann, Commander Submarine Squadron Six (COMSubRon 6) reported that the cruise of Trout was highly successful. “I can not too highly praise the officers and crew of this vessel for the successful accomplishment of their mission," said McCann. The impending collapse of Corregidor forced General Wainwright to destroy the remaining $140,000,000 in Philippine currency and $15,000,000 in highly negotiable silver. Most of the paper currency was burned, but the problem of the silver pesos was solved by dumping 350 tons of them in the Bay, and the location of the dump radioed to Washington. The bulk of the silver, dumped at Corregidor, was eventually salvaged by the Seventh Fleet Ship Salvage Group while the Japanese recovered over 2,000,000 pesos by November 1942 before ceasing operations. In addition to denying the enemy of the treasure, an important function of the Treasury Department was carried out. Without the efforts of Commissioner Sayre, Cmdr. Fenno, and his men, the safe delivery of the valuable cargo would not have been possible. The Treasury Department would have failed in it’s mission to preserve the treasure as guaranteed by the First War Powers Act. Trout’s golden run represented the usefulness and resourcefulness of U.S. submarines on patrol in World War II. The special missions performed by U.S. submarines in World War II played a dramatic and important role in the American war effort. The missions were countless, with many remaining unknown. However, for the men who undertook them, like those who served in Trout, the lasting appreciation for a job well done serves as their legacy.